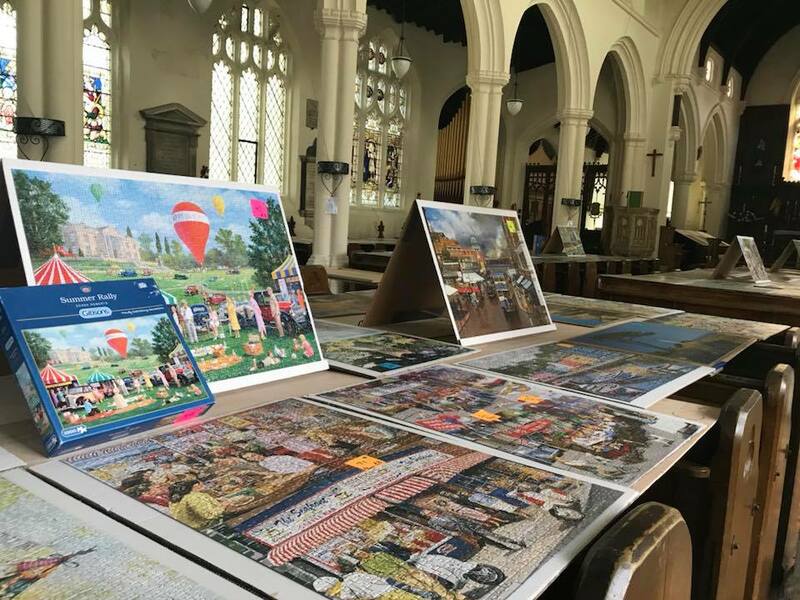 The eighth annual jigsaw festival was held in Newmarket at St Mary's Church on the 23rd-28th June this year and it was a roaring success! People travelled far and wide to view the jigsaw puzzles that were on display over the five days. 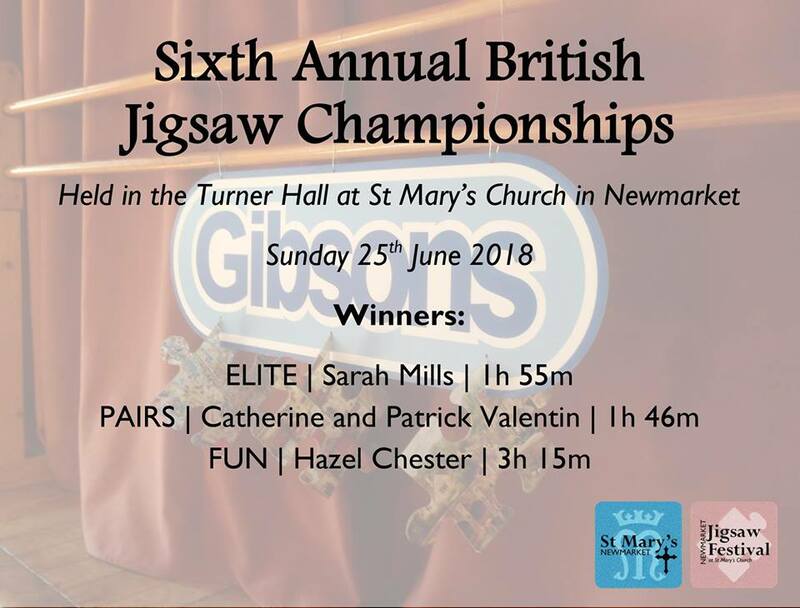 The jigsaw championships were held on Saturday 23rd June and had 19 entries this year, which is almost double the number of entrants in previous years! Sarah Mills retained her title in completing a 1000 piece jigsaw in 1 hour 55mins, the pairs class was won by a Belgian couple who finished in 1 hour 46 mins. Congratlations to all the participants! The festival raised £2600 and for the first time, local primary schools were invited to take part in a competition. Six schools took up the challenge, with Exning School being crowed the winner after completing a 300 piece puzzle in 1hour 21 mins! 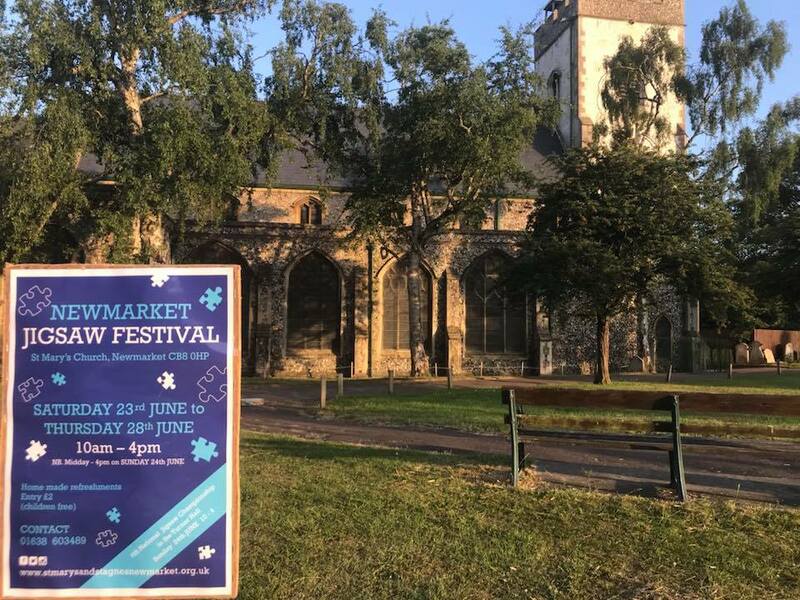 We are thrilled to have sponsored such a wonderful event and want to thank everyone who is involved with running the festival, with special thanks to Janet Ramsay-Helie.